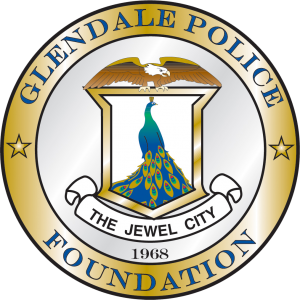 The Glendale Police Foundation (GPF) is a non-profit organization with the mission of assisting the Glendale Police Department by providing essential resources and support necessary to foster community-police partnership and superior public safety. GPF accomplishes this mission by strengthening community relationships with the Police Department, providing funding for youth and community outreach programs, raising funds for critical training and specialized equipment for officers, as well as providing nearly all funding for the K9 Unit. The Glendale Police Foundation is a non-profit organization (501c3) and is endorsed by the Glendale Police Department. GPF supports to improve police/community relations and awards grants to law enforcement for specialized equipment, training, and collaborative community programs. We are comprised of local Glendale community members. Ranging from business owners, doctors, attorneys, CEOs, community activists, and other residents just like you. Our meetings are open to the public and we welcome your attendance. We meet the fourth Wednesday of each month, except for August, at the Glendale Police Department. GPF funds numerous youth and community outreach programs. Youth programs include Students Training as Role Models (STAR) designed for at risk youth between the ages of 9 and 14, and the Teen and Police Partnership (TAPP) a collaboration between the Glendale Police Department (GPD) and the Glendale Unified School District. GPF also funds the Explorer program for young people between the ages of 14 and 21 interested in a career in public safety. We also offer outreach for at-risk members in the community suffering from cognitive disorders such as Alzheimer’s Disease, Autism, and Down Syndrome, via the Project Lifesaver Program. GPF fosters the community-police partnership through our annual 10-week adult Community Academy where members of the community learn about all facets of GPD, community policing, and graduate as well-informed ambassadors for the Department. GPF also provides support and nearly all funding for K9 Unit. Help make a difference with a donation. The foundation operates solely on tax deductible donations. After Graduating from the academy, Carl was assigned to the Field Services Division where was assigned to patrol. He eventually transferred to the Investigative Services Division and completed a tour in the COPPS Unit focusing on community policing and problem solving. He was promoted to Sergeant in 2001. 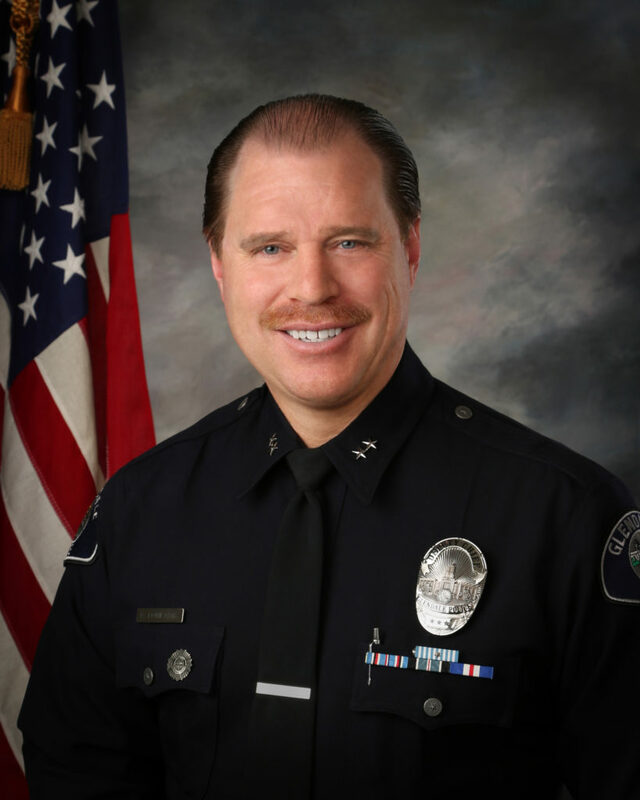 In 2002, he transferred to the Support Services Division where he supervised the Glendale Police Department’s Air Support Unit until he promoted to Lieutenant. He served as the Traffic Bureau Commander where he was responsible for traffic enforcement, parking enforcement, and major/special event planning for the City.